Support Chat - PHP Live Chat with Desktop and Mobile App - CODELISTPRO | Free Premium Scripts, Plugins, Apps Source Code. 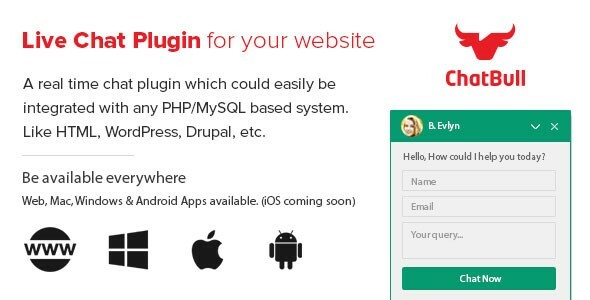 An easy to integrate live chat plugin for any PHP/MySQL based website. More than this, its very helpful when it comes to migrate your website from one CMS/framework to another. You just need to migrate files and DB of it. Nothing else you need to worry about. It works very well with most popular CMSs in the world like WordPress, Drupal, joomla, Magento etc.